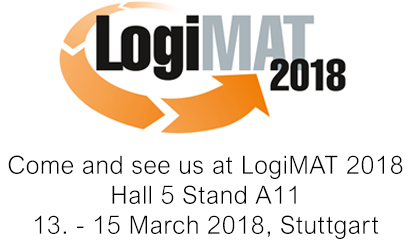 From 11 to 15 March we will present our product along with Sentek at the LogiMAT fair, the international fair for Intralogistics Solutions and Process Mangament. Sentek Solutions supply a wide range of specialist optical electronic devices and sensors into the European market. The company was founded in 2004 and has over 10 years of industry specific expertise. Our vast product range is made up of technologically advanced devices made for various market sectors. These sectors include; Industrial Automation, Radar Technology, Port System Technology, Robotics and Semiconductor Manufacture. Combining this product range with our comprehensive market knowledge and high caliber manufacturing partners we provide market leading solutions to increase efficiency, productivity and safety.